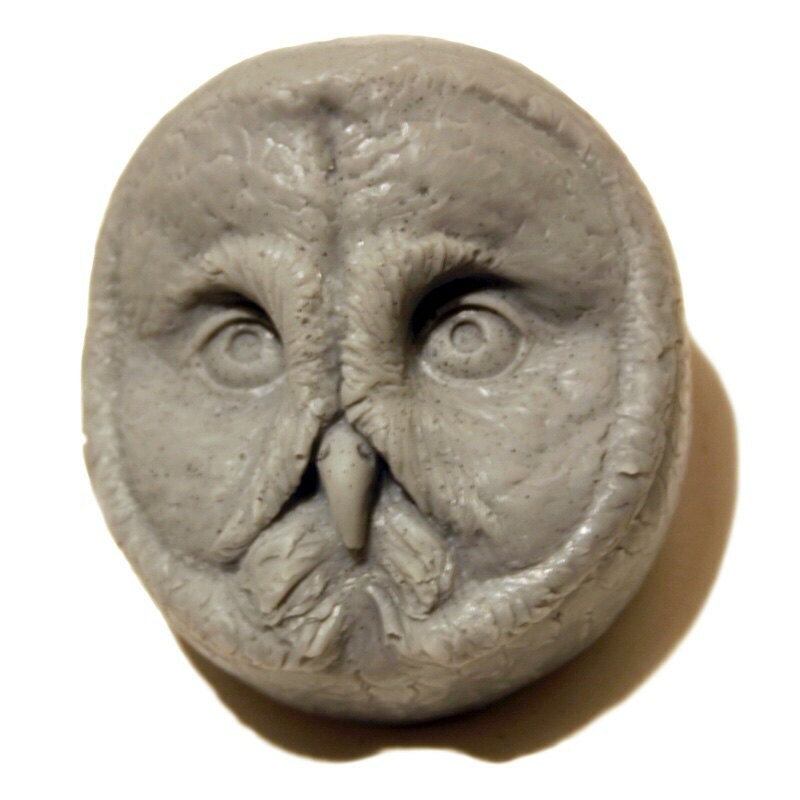 This Great Grey Owl feels just perfect in your hand as a body bar. Richly detailed and delicately scented using a low sweat vegetable base. The natural oils makes it smooth and creamy to use while nicely achieving a soothing lather. Please select from the following 9 combinations for Color / Scent using the drop-down menu above. The soap bar itself is 3" wide x 3" deep x 2" high. It arrives to you packaged in a 3"W x 3"D x 2"H natural color cardboard gift box, bearing a simple white label on top, wrapped with natural raffia. This packaged item weighs 8 ounces for the first soap bar.